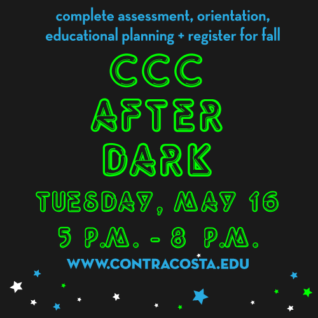 CCC Student Services is staying open late to help you get ready for the fall semester! Take care of your assessment, orientation & educational planning all at once so you can register for classes early. have pizza, music, prizes & more!